Bankruptcy Information | Solving the Foreclosure Crisis, Part 4: How can we fix the process? Solving the Foreclosure Crisis, Part 4: How can we fix the process? Home > Uncategorized > Solving the Foreclosure Crisis, Part 4: How can we fix the process? 23 Nov Solving the Foreclosure Crisis, Part 4: How can we fix the process? So far, I have discussed why the mortgage-backed security (MBS) is at the root of the foreclosure crisis, identified the securitization players and explained how they are supposed to operate in concert with one another. However, the real problem with foreclosures is how the judicial process is abused by the mortgage industry in an effort to take possession of middle class homes. As discussed previously, the pooling and servicing agreement requires the servicer to forward payment to the securitized trust regardless of whether the borrower is making the mortgage payment. This must continue until the loan is removed from the trust, and that can only happen by foreclosure. This seemed like a great idea when these securities were created at the height of the subprime-lending craze, but with homeowners unable to pay the exploding adjustable payments, servicers are hemorrhaging cash and going under. Because there is an incentive to default the homeowner and get the home through the foreclosure process as quickly as possible, servicers and default servicers hire law firms that promise speed as their top priority, even at the expense of truth and justice. Literally, law firms receive a score from Fidelity National Default Solutions (now known as LPS Default Title and Closing), known as an Attorney Performance Report (APR), for the speed with which they dispatch homeowners from their homes. The top performers receive the prestigious Summit Award, bestowed annually at Fidelityâ€™s annual meeting, but those firms who do not meet an acceptable foreclosure rate are terminated. â€¢ Problem: Questionable service of process. An astounding three percent (3%) of my clients deny ever being served foreclosure papers. In one case, an attorney ad litem was appointed to â€œrepresentâ€ a homeowner who allegedly could not be found. The homeowner is a real estate agent with a home-office and a â€œFor Saleâ€ sign in his front yard that included his cell phone number! The first notice he received was an eviction notice after his home had been sold on the courthouse steps. The foreclosure attorney had filed an Affidavit of Due Diligence, stating that she had exhausted all reasonable steps to ensure personal service upon the homeowner. Solution: Impose strict personal liability upon any attorney who files a false Affidavit of Due Diligence, and allow an immediate stay of eviction for a homeowner who files an affidavit contesting service, even after a sheriffâ€™s sale to anyone other than a good-faith purchaser. â€¢ Problem: Lack of public education. Most foreclosures are uncontested because homeowners believe they have run out of options. Currently, in a few counties in my area, a Notice is attached to every summons advising the defendant that the local legal aid office might be able to represent them in the foreclosure. However, the Notice is often buried underneath the Summons. Solution: The clerk should be instructed to attach the Notice on the top of the papers being served upon foreclosure defendants. Additionally, local legal aid offices and clerkâ€™s office should maintain on their web sites a list of all attorneys willing to represent foreclosure defendants, since most defendants do not meet income requirements to receive free assistance. The Notice should be expanded to inform defendants of the web pages of private attorney names maintained by the clerk and legal aid. â€¢ Problem: Lack of standing. Plaintiffs almost always allege that they have â€œlost the note and mortgage.â€ This is a â€œwhite lieâ€ that is tolerated by the judicial bench. The truth of the matter is that one cannot lose something it never had. As explained previously, the trustee rarely takes possession of the note and mortgage prior to case commencement. Since (a) actual possession of the promissory note which has been duly endorsed by the originator and (b) execution of an Assignment of Mortgage by the originator are an indispensable requirement to file a foreclosure, the real issue facing judges today is ensuring that the plaintiff actually owns the right to foreclose when the case is filed. Quite frankly, courts take more care to ensure that someone has the right to get divorced than to foreclose on a home. Solution: Require plaintiffâ€™s attorney to file an Affidavit of Standing which states affirmatively that, before the filing of the foreclosure case, the plaintiff (a) had taken actual physical delivery of a duly endorsed promissory note and (b) the plaintiff had actually received an Assignment of Mortgage. Additionally, no judge should ever allow anyone, other than the originator, to seek to establish a lost note unless the plaintiff files an affidavit specifically detailing when it took delivery of the note and how it subsequently lost it. â€¢ Problem: Fraudulent affidavits. Foreclosure attorneys often file fraudulent affidavits from their employers, the servicers and default servicers. Persons without knowledge of the books and records of the servicer and without ever reviewing the homeownerâ€™s account routinely execute Affidavits of Indebtedness. Furthermore, it is widely known that the affiant rarely signs the affidavit in the presence of the notary. Once again, the diminution of justice results from the need for speed. Solution: Greater oversight and scrutiny of affidavits by judges, even when there is no defendant present. â€¢ Problem: Unilateral scheduling of hearings. Foreclosure mills routinely schedule hearings, especially on Motions for Summary Final Judgment, without coordinating the hearing with opposing counsel. Furthermore, the Notice of Hearing is often sent directly to the defendant, not the defendantâ€™s attorney. In my jurisdiction (and most others I suspect), both acts are in violation of state bar rules and local courthouse rules. This transgression is not just a lack of common courtesy – it is dangerous. Recently, a Summary Final Judgment was entered at a hearing I failed to attend because it was unilaterally scheduled without my consent or knowledge. Solution: Law firms who unilaterally schedule hearings should be held strictly liable for their actions and should be subject to sanctions and attorney fees. Additionally, any order entered at a hearing scheduled without coordinating with opposing counsel should be void and unenforceable. â€¢ Problem: Failure to attend scheduled hearings. Foreclosure mills routinely schedule hearings then fail to appear. Since most of these hearings are scheduled during ex parte (a time set aside for uncontested matters), judges are rarely aware that the plaintiffâ€™s counsel has unnecessarily wasted the defendantâ€™s time. I had this very circumstance recently with not even an apology from plaintiffâ€™s counsel for not attending her own hearing. Solution: Law firms who schedule hearings and fail to appear should be held strictly liable for defense counselâ€™s reasonable attorney fee. Judges should immediately enter an order providing for payment of two hours of time charged at the attorneyâ€™s normal hourly rate for preparation and attendance at the hearing. â€¢ Problem: Lack of good faith negotiation. Plaintiffâ€™s attorneys have little incentive to resolve these cases. The servicer often engages pro se defendants in a â€œmodification processâ€ during the pendency of the foreclosure, in my opinion, to discourage the homeowner from seeking legal advice. These modifications often require homeowners to waive valuable legal defenses and counterclaims in exchange for terms that are often impossible to meet and usually end in yet another default. Solution: Upon request, the court should vacate any default or order entered upon a showing that the default or order was entered while there was active negotiation between the homeowner and servicer to modify the loan. â€¢ Problem: Stealth Local Counsel. Rarely do foreclosure mill attorneys personally appear in a courtroom outside their own town even though they file cases throughout the entire state. Like unseen millionaire Charles Townsend of Charlieâ€™s Angels, our judiciary knows them only by voice, if at all. Instead, they employ a small handful of local attorneys, who prefer to remain anonymous, to seek entry of final judgments on behalf of their unseen employers. If there were ever a question as to how a final judgment was entered, it would be virtually impossible to know for sure which local counsel â€œmuledâ€ the documents to the court. Solution: Require local counsel to file a Notice of Appearance in every single case in which they make an appearance or seek entry of an order. â€¢ Problem: Lack of judges with specialized training. Many state and federal judges across the country are beginning to look at each of these foreclosures with a jaundiced eye because, quite frankly, the mortgage industry has earned the scrutiny. However, many more judges just have no idea what is happening behind the scenes in their own courtroom. After all, foreclosures, securitization and the Uniform Commercial Code are deeply time-consuming topics requiring a high level of specialized training. Solution: Some jurisdictions have implemented what may be the best overall solution – Foreclosure Court. The reassignment of all foreclosures to specialized state court judges dedicated to becoming foreclosure experts is justified by the growing caseload in many areas of the country. These judges would be thoroughly familiar with each plaintiff and defense attorney practicing in the field, and the implementation of uniform procedures in these foreclosure cases would be ensured. Understand that this is not an attack upon the judiciary. 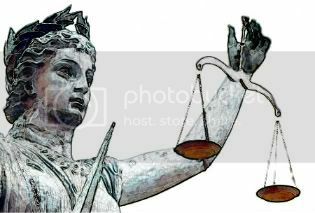 Judges truly believe justice is being served in our courtrooms, and they will know no different if attorneys are unwilling to derail the foreclosure freight train that is barreling down Main Street pulling carloads of dispossessed residents away from their homes. Regardless of whether you believe todayâ€™s crisis is the fault of the homebuyer or the lender, there is no debate that this avalanche of foreclosures affects our local communities and has triggered a global meltdown of financial markets. In my 16 years of practicing law, I have not experienced a system in such need of repair, but the fix can begin here and now.